Your time is valuable. Maybe you adore cooking but the time spent cutting up vegetables and fruits really puts you off. It’s not the most exciting thing, we admit. When it comes to cooking, much of the time we spend engaging in a recipe is in the prep portion of it. It’s no wonder that so many Americans order takeout or make unhealthy choices to save time. Do you love pasta but need to cut out carbs? Then it just might be time for you to make the switch to noodles made from vegetables. Tasty, delicious, and nutritious, once you try them, you might never go back to regular pasta! Read moreNoodles Made from Vegetables: Zoodles, Poodles and More! Here come the holidays again. As you make your list and check it twice, you’re bound to find a few people that stump you. What do you get for them? If one of them is a foodie who you’ll find concocting delightful recipes in the kitchen every day, then something for the kitchen is in order. It’s a small miracle that moms manage to get food on the table (and let’s not forget making sure that the dining table and chairs are always ready to be used by family and friends whenever people come for dinner) every night of the week. Whether you’re a stay-at-home mom or one that logs long and tiring hours at the office, the day can be very draining. It’s tempting to call up for pizza delivery every night, but that’s not exactly healthy or budget-friendly. It seems like almost everyone with a food processor talks about how much they love them and how they couldn’t cook without them. But food processors can be an expensive investment and are prone to taking up valuable counter and cabinet space when not in use. So, should you buy a food processor? Are the expensive brands worth it? Read moreLooking to Buy a Food Processor? Should You Choose The More Expensive Brands And Are They Really Worth The Extra Cost? An electric pressure cooker may be just the answer you need if you’re trying to cook fast, healthy meals for your family. These are not the old-fashioned stove top pressure cookers that scare so many people off with fears about overheating and explosions. The newer electric models take all of the worry out of cooking and expand your ability to make all sorts of dishes. That’s because they combine the high heat pressure cooking method with the convenience of slow cookers. 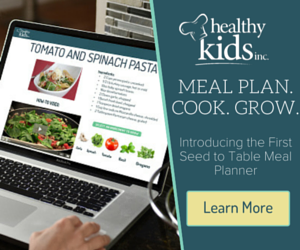 Online cooking classes may be just the answer you’re looking for when it comes to helping your family to eat healthier. It’s a quick and easy way to get professional instruction from trained chefs and pick up healthy food recipes that not only taste good but also are also good for you. And because it’s all done online, on your own time, you can easily fit it into your busy schedule. If you’ve always wanted to learn how to cook or never considered it because it was too intimidating, this is your chance. Monthly food delivery gifts are all the rage, especially for folks whose busy schedules don’t allow them time to shop and prep their meals. They can also be a real lifesaver for people who are following a particular lifestyle such as bodybuilding. In fact, bodybuilding meal delivery services are more popular than most meal delivery services, often because they allow the dieter to save time and feel great while eating meals customised uniquely for them. This new trend, which basically takes things back to the Paleolithic period, eating only foods that were available at that time, has become extremely popular and there are programs geared specifically toward followers of the Paleo diet. Looking for healthy cooking gift ideas? You’re hardly alone. Today, more and more people are adopting healthy lifestyles and that means changing their approach to cooking. But cooking and eating healthy shouldn’t have to make it harder to shop for kitchen items. It may seem that great gift ideas for vegans would be hard to come by, but that’s not the case at all. As a matter of fact, there are any number of kitchen gadgets and small appliances that would be an asset to any vegan lifestyle. Because preparing vegan foods can take more time and effort than standard food prep, anything that can help to make the process easier is a perfect idea for that special vegan on your list. Think you can’t afford organic? Buy foods that are in season. It’s both more inexpensive and healthier.